If you are looking for the best insurance agency in Louisiana, there is no need to look anywhere else! 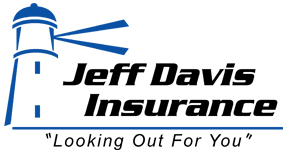 Call Jeff Davis Insurance at 337-824-4455 and speak with one of our friendly team members. We offer important services that are designed to help you better understand your insurance policy. For instance we offer a monthly newsletter called the JDI Protection Letter. Please listen to our podcast below to learn how this service benefits you. This entry was posted in Services we Offer. Bookmark the permalink.